Thames Valley Tree Care - Tree Surgeon based in Stonesfield, Oxfordshire. 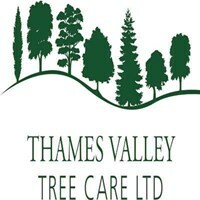 Thames Valley Tree Care LTD (www.tvtreecare.co.uk) is a small independent and friendly tree surgery company based in West Oxfordshire providing all aspects of tree surgery for both domestic and commercial clientele. With over 15 years' industry experience, our focus is set highly on customer satisfaction ensuring a professional, safe and reliable approach to all stages of works. We offer free impartial advice along with written quotations. All works are carried out in accordance to BS3999:2010 Recommendations for Tree Work and all staff hold relevant NPTC certification. We have a £10 million public and employee liability policy (Policy no. B1141C16M3865/14917) enabling us to carry out tree works on the public highway. Prior to any tree works being undertaken we check to see if any restrictions apply to the tree(s) with the local planning authority.